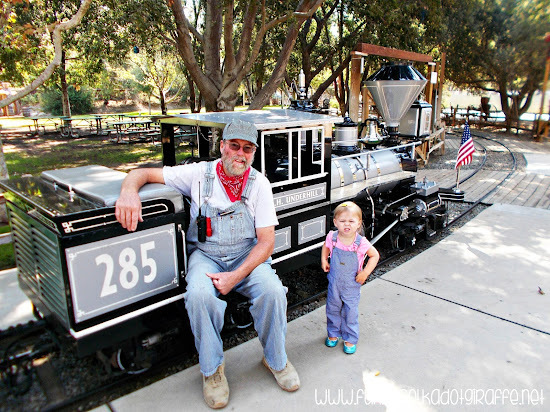 The Irvine Park Railroad is celebrating its 22nd anniversary this month! It is one of our favorite places to spend the day in Orange County and we can't wait to help them celebrate! They'll be rolling back the prices to the original 1996 prices! That means $2.00 train rides! We love the Irvine Park Railroad train! Grace even insisted on getting overalls to match the train conductors. The 22nd Anniversary Celebration is Saturday, February 24th and Sunday, February 25th. Along with $2 train rides, the anniversary celebration will also feature other $2 activities - including carnival games and a bounce house. Face painting and panning for gold require two $2 tickets. There will also be $2 concessions, including hot dogs, sodas, ice creams, and popcorn! The Railroad is even giving away one FREE balloon per child. There will also be raffles on both Saturday and Sunday of the celebration every hour from 11:00am to 3:00pm. Winners will receive Irvine Park Railroad prizes ranging in value from $60 to $300. And to make things even more festive, a live band will play on both days from 11:00am to 3:00pm. 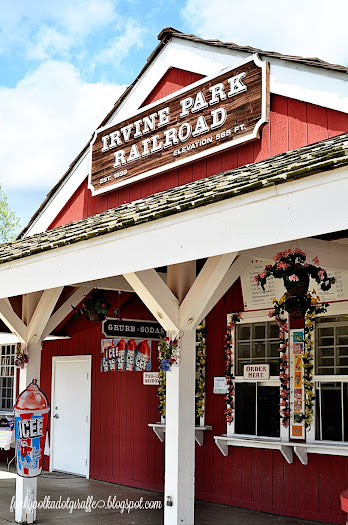 While you're at Irvine Regional Park, I also suggest you visit the other fun activities the park has to offer! 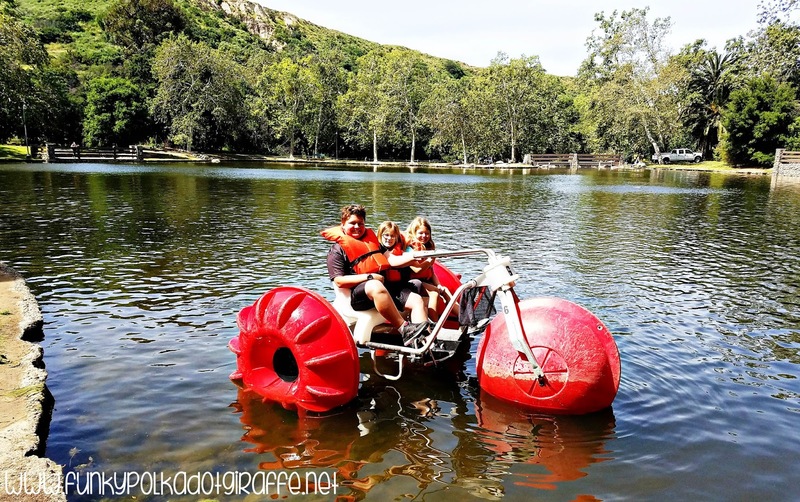 My kids love the paddle boat rentals at Wheel Fun Rentals! We also enjoy renting bikes from Wheel Fun Rentals and enjoying all the beautiful scenery the park has to offer! There are also pony rides and the Orange County Zoo. The prize value is $75.00 and can be used during the anniversary celebration or any other time during the year. The New Year is starting off great. Both my boys are doing well and loving school. The IPRR is one of their favorites so it would be a super special treat to take them to visit again. My husband is planning a cruise vacation, I'm so excited and the kids too! My mom was diagnosed with cancer last year and so far right now the cancer is gone(amazing news) and we are hoping it stays gone forever! My son Nathaniel hasn't had to be on any medication for his epilepsy for over 6 months now. This is such a blessing to our family because it shows improvement in his medical condition and relieves alot of stress on our family. 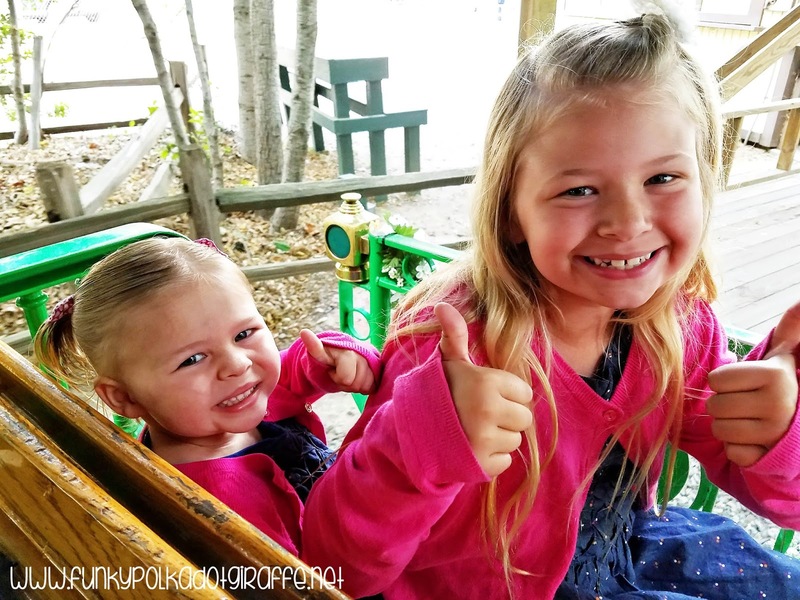 I am blessed to have two beautiful girls and a loving husband that I would love to go make memories with the Irvine Park. Thanks for the opportunity! I just got a job promotion.